CCEWOOL Rock wool blanket are mainly made of natural stone. The selected stone are melted in a cupola at approximately 1450°C, and the molten lava is fiberized by a spinner. The fibers are then coated with a thermosetting binder which bonds the fibers into a mat.The mat is then cut into suitable sizes for ease of handling and installation. Other products such as wired blanket, pipe cover or faced products are produced by secondary processes. It is complies with CE standards,ASTM C592 and JIS A9504. Non-combustible and meets the highest fire classification rating. No burning droplets, promote flashover or release toxic gases during a fire. Compression and tensile strength meets the national standard. Excellent permeability and thermal properties assist the reduction of condensation built-up in the system. Water repellent and moisture resistant and is mostly made up of inorganic fibres. Dimensionally stable and does not shrink, warp or deform over time. excellent sound absorbing properties. Easy to cut and handle. Neutral or slightly alkaline and does not cause corrosion on fiber glass mesh and metal fixing. Fibres are non-toxic and fully safe for use. CCEWOOL Rock wool blanket is particularly designed to meet the specific thermal insulation, fire protection and sound attenuation requirements for large process pipework, tanks, vessels, boilers and ducts. If you want to Inquire this product, electronic catalogs, samples, fill in the following information. 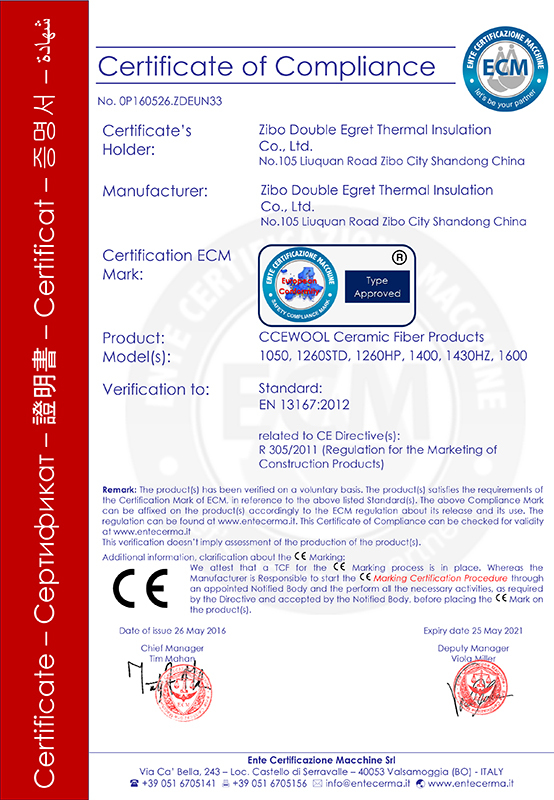 CCEWOOL Rock wool blanket is complies with CE standards,ASTM C592 and JIS A9504. Dimensionally stable and does not shrink, warp or deform over time. 2015, we received an inquiry from Alibaba. This is our first contact with Argentina customer. When our sales person saw this inquiry the first feeling was that there were too many types of products and the size of products required are not regular size. But this didn&rsquo;t frighten back our sales person. And our sales person kept in touch with customer and communicating about details of products. Because the products required by customer is not regular size and there are too many product types, other colleagues stopped their work temporarily and help calculating container loading volume. Finally the customer&rsquo;s product quantity is 4x40HC. This is our first cooperation with Argentina customer. 4x40HC rock wool product. When our customer received CCEWOOL rock wool product, he replied that he was very satisfied with our service and product quality. Until now we have kept very good business relationship. Double egret use living example to prove stable quality and professional service. CCEWOOL rock wool is made with high quality basalt and diabase as the main raw material. Automatic batching system contributes to high purity raw materials, more accurate and stable proportion. Using cupola furnace with temperature up to 1450 ℃ to melt raw material, use centrifuge system to make fiber. 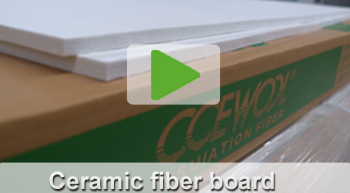 Rock wool boards are packed automatically after cutting process. Pack the products with hot shrinkage film to prevent damage to cargo during transportation. 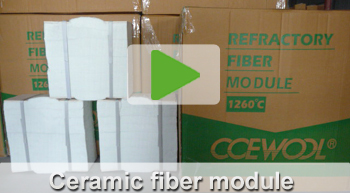 Why is CCEWOOL the top ceramic fiber export brand in China? It is the second largest ceramic fiber manufacturer in Asia. As the second largest ceramic fiber manufacturing base in Asia, CCEWOOL has its own ceramic fiber raw material production base. 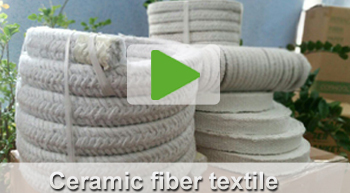 It is the earliest ceramic fiber manufacturer in China which is equipped with 23 ceramic fiber blanket production lines, 4 automatic ceramic fiber felt and board production lines, 2 ceramic fiber paper production lines and 2 ceramic fiber textile production lines, covering a factory area of 80,000 square meters and reaching annual output of more than 60,000 tons. 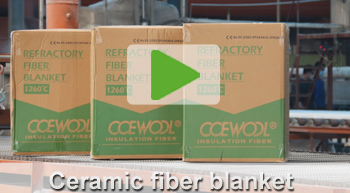 Having exported to more than 30 countries, CCEWOOL has earned a world-renowned reputation. So far, we already have 10 years&rsquo; export experience and have exported to more than 30 countries and regions worldwide, including Germany, France, Italy, Japan, North America and some African countries. Quality is guaranteed since we are the only enterprise who can provide CE certificate of ceramic fiber in China. We strictly implements ISO9001 quality control system in production and all products have met CE certificate standards (EC.1282.0P140416.ZFRQX35). CCEWOOL is the only ceramic fiber manufacturing brand that has passed certificates of BV and TUV factory inspection at the same time in China. Why does CCEWOOL have its agents make more profits? Double Egret provides professional CRM system to every agent to realize systematic management and protect agents&rsquo; customer resources. Agents can get rid of any concern by our regional agent protection and guarantee of customers&rsquo; profit. 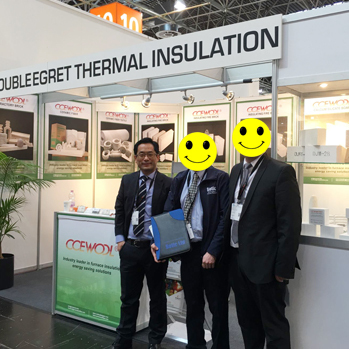 From 2009 to 2015, Double Egret has continuously attended METEC in Dusseldorf Germany, CERAMITEC in Munich Germany, ANKIROS in Istanbul Turkey, METAL EXPO in Russia, AISTECH in America, INDO METAL in Indonesia, TECNARGILLA in Italy, METAL in Poland. All the attendance has not only improved CCEWOOL brand reputation but also has witnessed customers&rsquo; approval and recognition of CCEWOOL quality. By virtue of brand strength and product quality, CCEWOOL obtains high attention and acceptance from visitors and exhibiting companies. More than 10 years&rsquo; export experience and professional document-operation team enable us to be familiar with many countries&rsquo; import-export policies and regulations, such as policies in some European and American countries as well as Soncapc in Nigeria. We will provide reasonable solutions to all problems concerning the products within 24 hours after customers pick up the goods. For 10 years, who are using CCEWOOL? 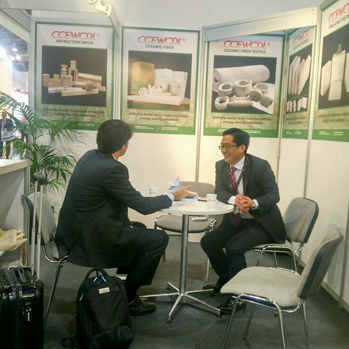 10 years&rsquo; hard work has enhanced CCEWOOL brand popularity and reputation at the international ceramic fiber market. And we are keeping good cooperation relationships with many multinational corporations, such as Rath, Vesuvius, Calderys and Mobil etc.